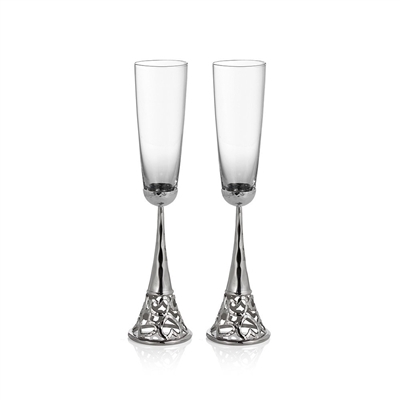 Michael Aram Heart Toasting Flutes (Set of 2) 10.4"H, 2" Dia. ; Nickelplate, Glass The Heart Collection is built around the simple but universal symbol of love, hope, friendship and caring. The shape of the heart creates instant responses in us all and carries a world of meaning that changes according to the intent of both the giver and the recipient. 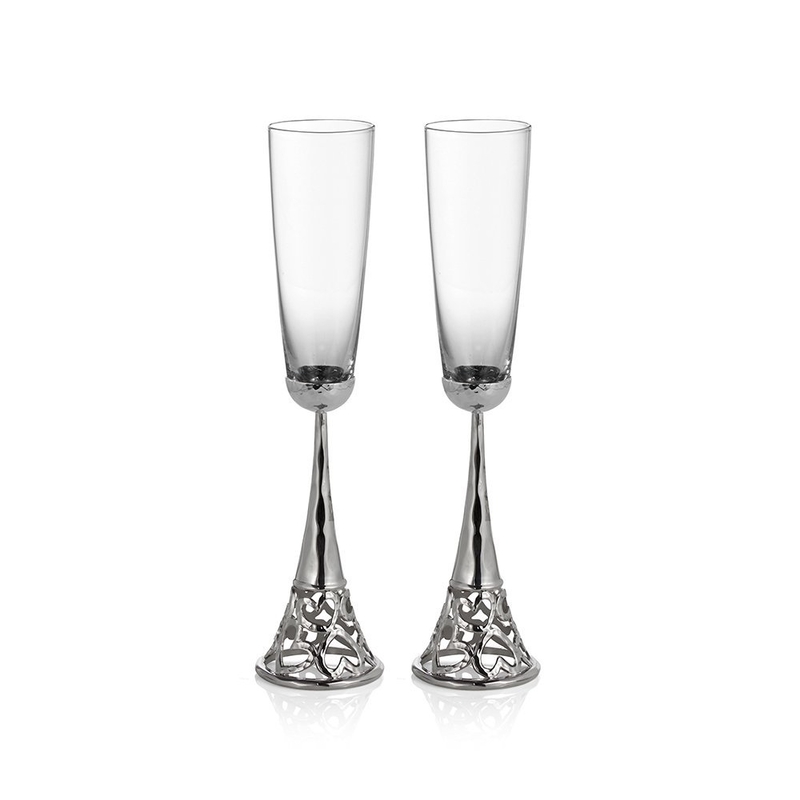 In Aram's version, the classic motif is interpreted through ancient techniques of handcraftsmanship.